Santa Cat Is Dressing Up In Red Christmas Cap And Sitting By.. Stock Photo, Picture And Royalty Free Image. Image 6031484. 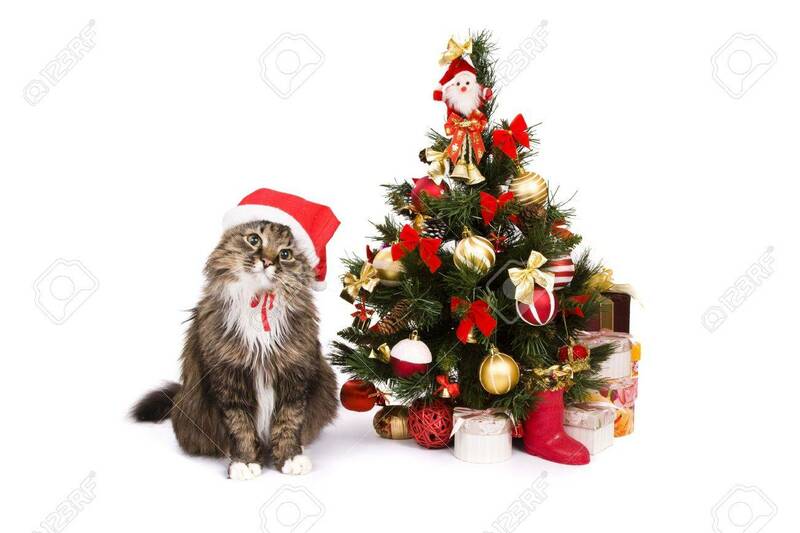 Stock Photo - Santa cat is dressing up in red Christmas cap and sitting by Christmas tree on white backgrounds. Domestic cat in New Year's hat and is looking fixedly at the camera. Year of tiger. Year of cat (rabbit). Santa cat is dressing up in red Christmas cap and sitting by Christmas tree on white backgrounds. Domestic cat in New Year's hat and is looking fixedly at the camera. Year of tiger. Year of cat (rabbit).